By Honorable Ek Nath Dhakal: The Nepalese Constituent Assembly on Wednesday made history as it passed the Constitution Bill with a two-thirds majority. Wednesday’s endorsement of the Constitution Bill caps a-65-year-old dream of having a constitution written by people’s representatives. The long-drawn out task of constitution drafting has come to an end except for its promulgation. A total of 507 votes were cast in favor of the constitution bill while only 25 votes were cast against the bill. 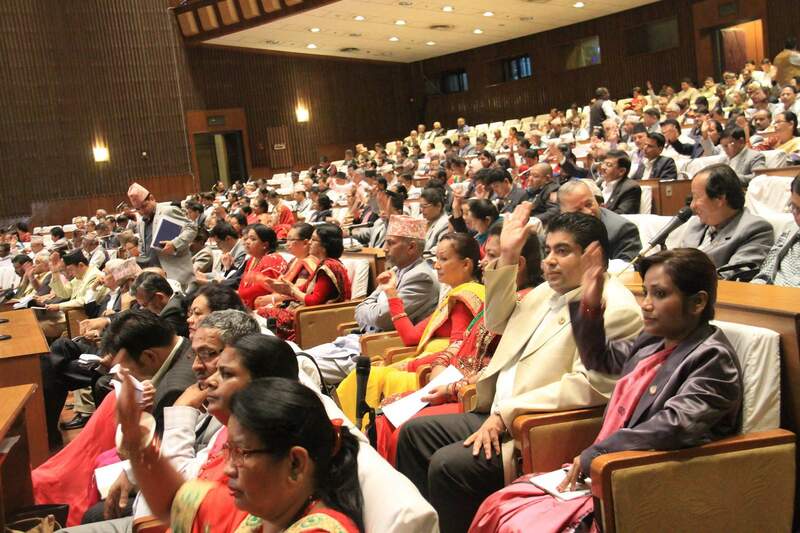 Major three political parties—Nepali Congress (NC), CPN-UML, UCPN (Maoist)—and a majority of fringe parties including Nepal Family Party have voted in support of the Bill in a meeting of the Constituent Assembly (CA) on Wednesday evening. However, the Madhes-based parties had already boycotted the constitution drafting process. According to the interim constitution of Nepal, a two-thirds majority is required to endorse the constitution. The constitution was endorsed through signatures of CA members. 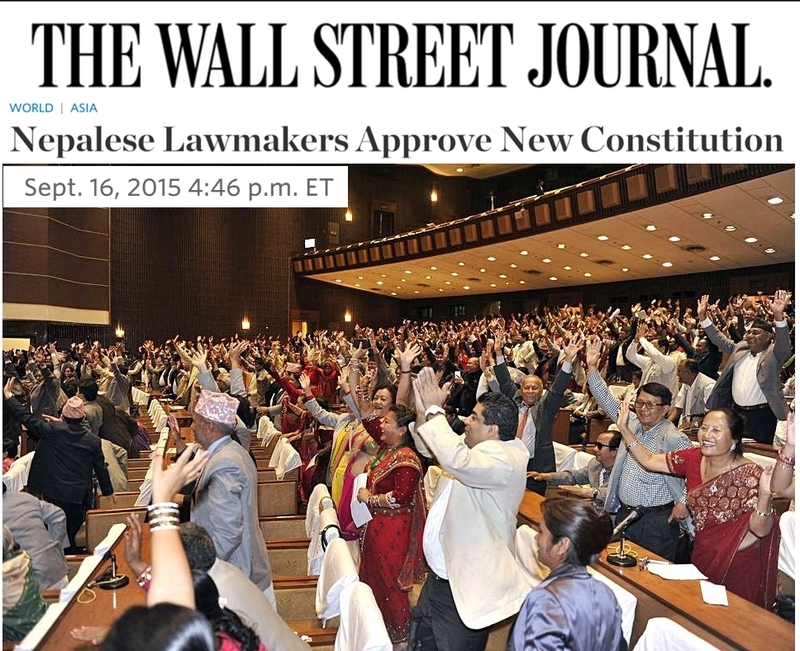 All the articles, preamble and name of the constitution have been endorsed on Wednesday. The new constitution will be promulgated on September 20 once the bill endorsed. Constituent Assembly Chairman Subas Nembang has already invited President Dr. Ram Baran Yadav to announce the new constitution on Sunday. Nepal Family Party played significant role in the Constituent Assembly especially in bringing peace ideology of UPF’s founder Dr. and Mrs. Sun Myung Moon and their peaceful strategy to unite diverse political parties together. Hon. Ek Nath Dhakal, a lawmaker from the Family Party is also a President of Universal Peace Federation Nepal and CIG Special Envoy to Nepal. There are two lawmakers from the Nepal Family Party in the Assembly. The preamble of the constitution also mentions people’s competitive multi-party democratic system, civic freedom, fundamental rights, human rights, period election, voting rights, full press freedom, independent, fair and competent judiciary, building of a prosperous nation with the commitment to socialism based on rule of law, and democratic norms and values, and durable peace, good governance, development through the federal democratic republic.